Dengan tidak bermaksud untuk coba membandingkan atau Menyamakan, jika pengaruh kuat Jawara Death Metal Melodis Children Of Bodom, yang sampai hari ini banyak membawa pengaruh dalam Movement Finlandia serta Negara lain. Event Relentless yang menjadi Generasi Penerus Scene yang terkenal dengan Genre Metal Melodius-nya seperti mengikuti jejak sukses pendahulunya. terbentuk sejak 2013, lalu band yang dikomandani oleh Vocalis/Gitaris Juho Raita membawa kembali era kejayaan awal COB era " Something Wild, Hatebreeder serta Follow the Reaper " lagi, ketika COB Sendiri malah meninggalkan style awal yang membesarkan namanya sampai sekarang. serta beberapa sentuhan Kuat In Flames era " Jester Race " dan Ceremonial Oath terasakan begitu melekat kuat pada Simply part Catchy Melodis-nya. was a prime influence in my connection to metal, and though it’s just a hair away from perfection, has only grown in strength and longevity ever since with some of the Nice guitar lead the world has ever seen. Gw sebagai Salah satu fans beratnya COB sudah pasti tentu mudah mencerna setiap Aransemen, Bagaimana Karakter Sound Tajam-nya, Harsh Vocal Alexi Laihoo serta Melodis Thrash Melodic Riffing hampir keseluruhan tidak terlepas dari nama COB. seperti mendengar kembali era kejayaan awal, debut EP perdana Independen ini mengenalkan Track pertama " Duality ". sambutan Keyboard Epic nan Orchestral-nya sudah pasti menjadi Karakter Kuat COB yang kemudian disusul Metallic Riffing pemacu Adrenalin untuk Stay Headbang. raungan Harsh Vocal Juho Raita seperti sayup terdengar lirih diantara level sound musiknya, apalagi Juho Raita sepertinya lebih Konsen banget pada Instrumen Gitar-nya, alhasil kerap Aransemen menjadi tanpa vocal alias Instrumental track dengan jeda vocal tak lazim. The Guitar rhythm section has tightened considerably, pounding along with fury and grace, creating an unbreakable backbone for the real star of this show: the melodies ! Duet kompak permainan Riff Juho Raita dengan Aleksi Lehto sebagai Motor utama musikal yang di akhiri ketukan Drum mantap Paul Rytkönen. Sepanjang Komposisi, Blocking Instrumen keyboard seperti tidak mau melepaskan diri. menekankan pada Karisma Harmonius dan Melodis, sepertinya Event Relentless coba mengajak Audience untuk tetap menikmati Headbang ketukannya. It’s not just the level of skill or insanity in the flurries of notation, even the simpler melodies are so infectious as to feel like a sweet, sweet disease, climbing into your brain and staying there interminably. begitu pula dengan " Beyond The Speed Of Light ", Event Relentless tetap menginjeksi tetap partisi serba Melodis. Harsh Vocal yang terdengar Raw memang jarang terdengar selain konsentrasi penuh pada musik saja. " Cold Black November ", kita masih dijejali Part melodius yang terus mendayu-dayu Hipnotis-nya. pada Track ini Juho Raita memadukan Harsh vocal dengan Clean Vocal lumayan sedikit menambah Esensi Gothic. with keyboards whirling about like cherry blossoms in the wind, leading to another inevitable epic battle toward songs end, the dueling tones like magic spells of fire and ice, clashing and brightening the dojo before it’s completely set ablaze by the enrapturing dance. bersemangat lagi sepertinya saat " Clarify " mencoba menghantam kembali masih dengan Balutan tidak jauh berbeda dengan sebelumnya, namun kali ini pembawaannya lebih emosional dengan beberapa Part variasi yang memorable. dan EP ini diselesaikan dengan " Beginning Of The End ", terhanyut terus rasanya dalam Buaian Harmoni melodis, Secara keseluruhan materinya bukan sesuatu yang Baru mungkin, karena ini masih menjadi bentuk pengulangan dari yang sudah biasa kita dengar. dari segi kualitas Produksi sound sudah mantap, cuman beberapa Level vocal agak timbul tenggelam. pembuktian Eksistensi awal ketika sebuah band mencari sebuah Identitas Karakter meski saat ini harus rela meminjam karakter yang telah ada, well sapa tau, suatu hari kita bakalan mendengar kejutan yang dipersiapkan Event Relentless, So far and furious outputs. Scales, Arpeggios, etc. It's a Shame Diversity gone to hell now ! Diehard Early COB, Maybe this other nice the Choice. By not intend to try to compare or equate, if a strong influence Pioner melodic Death Metal Children Of Bodom, which to this day has an impact in the Movement Finland and other countries. Relentless event the Next Generation of the famous scene with the melodic metal genre like following in the footsteps of its successful predecessor. formed since 2013, the band led by vocalist / guitarist Juho Raita bring back the golden era of the early COB era of "Something Wild, Hatebreeder and Follow the Reaper" again, when the COB Alone even leave early style made his name until now. as well as some touches Strong In Flames era "Jester Race" and Ceremonial Oath is felt so strongly attached Simply Catchy melodic its part. was a prime influence in my connection to metal, and though it's just a hair away from perfection, has only grown in strength and longevity ever since with some of the nice guitar leads the world has ever seen. Gw as One fan of COB's for sure would be easy to digest every Arrangement, How His Character Sound Sharp, Harsh Vocal Alexi Laihoo Melodic Thrash and melodic riffing almost the whole can not be separated from the name of the COB. like to hear back the golden era of the early, initial independent debut EP introduces first track "Duality". Keyboard welcome Epic Orchestral his nan is definitely a strong character and was followed Metallic COB riffing Adrenaline boosters to Stay headbang. Harsh Vocal Juho Raita roar like drifted softly between his music sound levels, especially Juho Raita seems more Konsen buildup on his guitar instrument, as a result often being without vocal alias Arrangement Instrumental track with unusual vocal pauses. The Guitar rhythm section has tightened considerably, along with the pounding fury and grace, creating an unbreakable backbone for the real star of this show: the melodies! Duet compact Riff game Raita with Aleksi Juho Lehto as the main motor musical ends steady drum beats Paul Rytkönen. Throughout the composition, blocking keyboard instruments such would not escape. Karisma emphasis on Harmonius and melodic, it seems to invite Audience Event Relentless try to continue to enjoy his knock headbang. It's not just the level of skill or insanity in the flurries of notation, even the simpler melodies are so infectious as to feel like a sweet, sweet disease, climbing into your brain and staying there interminably. as well as the "Beyond The Speed ​​Of Light", Event Relentless still paced melodic inject permanent partition. 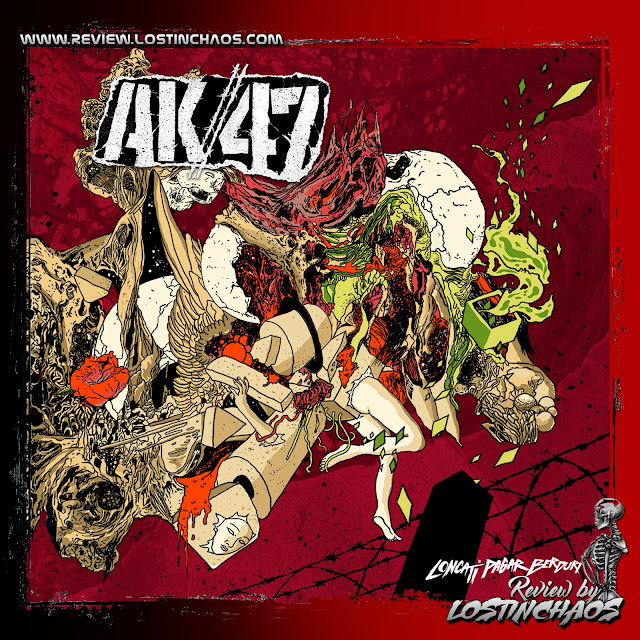 Harsh sounding Vocal Raw is rarely heard in addition to fully concentrate on the music. 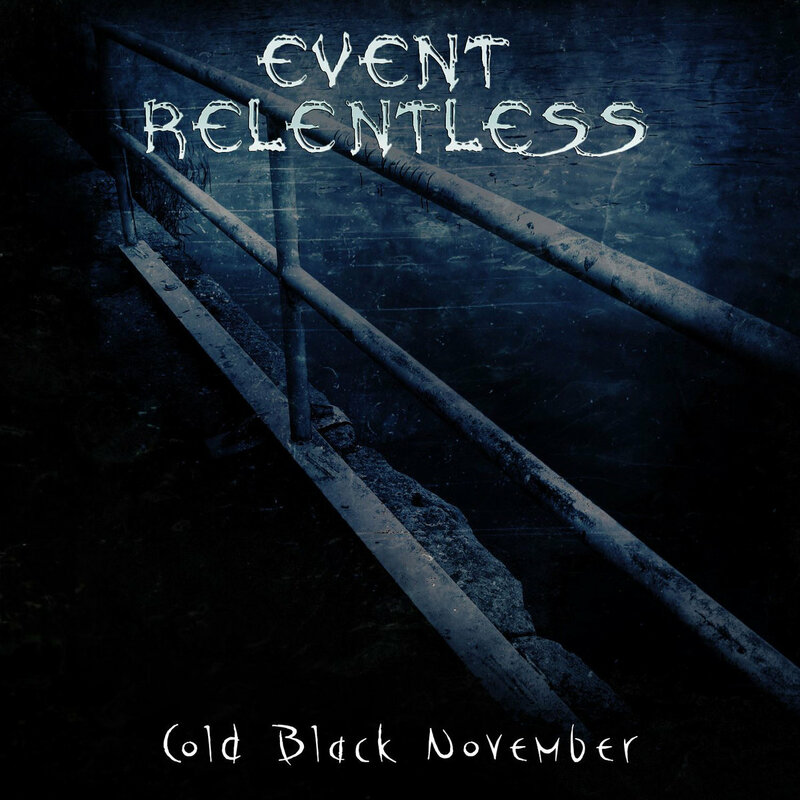 "Cold Black November", we are still bombarded Part melodic lilting which keeps its hypnotic. on this track Juho Raita Harsh vocals combine with the middling bit adding Clean Vocal Essence Gothic. with keyboards whirling about like cherry blossoms in the wind, leading to another epic battle toward songs Inevitable end, the dueling tones like magic spells of fire and ice, clashing and brightening the dojo before it's completely set ablaze by the enrapturing dance. seems excited again when "Clarify" tried to hit back with a bandage still not much different from before, but this time with some more emotional demeanor Part variations memorable. and EP is completed with "The Beginning Of The End", swept constantly feels in harmony melodic crib, the whole material is not something new as possible, since this is still a form of repetition of what is common to hear. in terms of quality of sound production has been steady, cuman some rather vocal Level arise sink. The existence of evidence early when a band looking for a character Identity although this time must be willing to borrow the characters who have been there, well hello knows, one day we are going to hear the surprise prepared Event Relentless, So far and furious outputs. Scales, arpeggios, etc. It's a Shame Diversity gone to hell now! Early diehard COB, Maybe this other nice the Choice.